I love a challenge. Especially a skincare challenge. 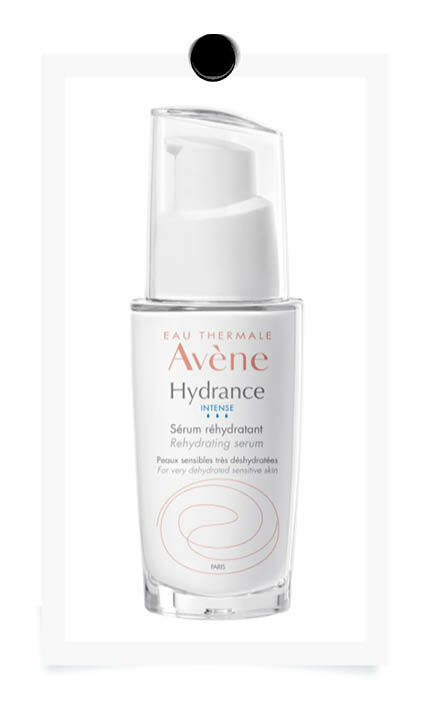 When Avène asked me if I would trial their new Hydrance Intense Serum for 3 weeks, I couldn’t say yes quickly enough as I’m a fan of the brand (Their Micellar Water and Cicalfate Cream are firm skincare staples). Little did I know that it would end up being one of the truly most challenging times for me and my skin, so the serum really did have to work unexpectedly hard. I generally suffer with serious dehydration, which always peaks as we head into winter. Seasonal switch-over is the most difficult time for our skin as it’s struggling to adapt to fluctuating temperatures. Add to that a not always perfect diet (hello French fries! ), intense stress, constant travelling and not getting enough sleep, which are all taxing on overall wellbeing. Plus, during the trial, I ended up being really ill, bed-ridden for 10 days with high temperatures, which is an added stress for the whole body and that sent my skin into total meltdown. First let’s settle a frequently asked question – what is the difference between dry and dehydrated skin? If you have dry skin, you have likely been born with it and have always had a slightly rough, flaky texture and you’ll be dry all over your body too. Dehydration is not a skin-type, everyone can get dehydrated (yes even oily skin) and it’s mostly lifestyle induced (but can also be due to medication). So, when you get that tight sensation, and see those little dehydration lines popping up, you might think I’ll just use a richer moisturiser and it’ll all be fine. Getting skin into balance is one thing. Keeping it there is another. Just when you feel it’s all working and under control, boom, it feels out of sorts again. Was it your cleanser? The over-heated office or something you ate? If you’re dealing with dehydration, making the right changes to your routine can help get your skin back on track, fast. Because the truth is that a lack of hydration is one of the main issues that can make you look way older than your years. Alongside lifestyle changes, which include taking omega supplements and dialling down my caffeine consumption, I switched up my skincare routine and this is where the Avène Hydrance Intense Serum slotted in. There are lots of products available aimed at tackling dehydration: You’ve got your creams, you’ve got your essences, you’ve got your oils and you’ve got your serums. So, what makes this product stand out? It took Avène seven years to create Hydrance Intense, as they worked in conjunction with Standford University to develop a new hydrating complex called Cohederm, made up of three active ingredients: Triethylhexanoin (an emollient derived from glycerine), Beta-Sitosterol (a plant sterol, which aids build cell membranes) and Isocetyl Steaoryl (a skin conditioner). Surrounding the encapsulated Cohederm is Avène’s proprietary Thermal Spring Water – this delivery method promotes optimal hydration for up to 24hours post application and discourages water loss by supporting skin barrier function. Ah!the all-important skin barrier. This is something I can’t talk about enough – a healthy barrier is healthy skin and crucially hydration is key in keeping the skin barrier functioning at its best. 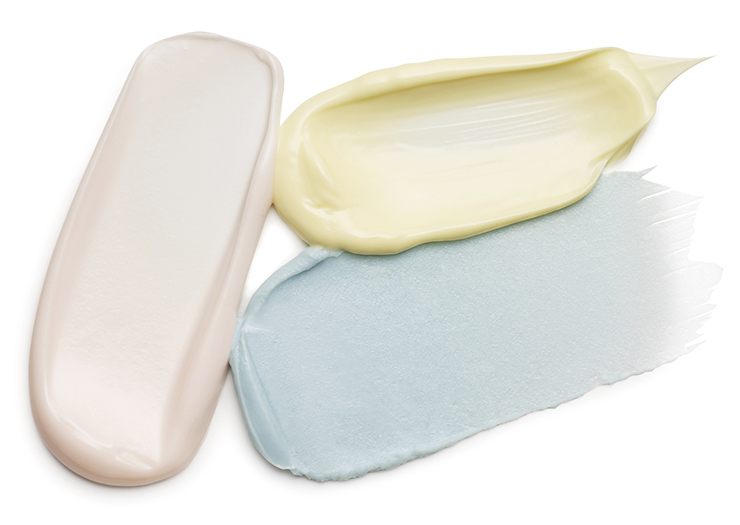 The stratum corneum, which is the outermost layer of your skin, constitutes the barrier against excessive transepidermal water loss and one of the factors influencing water levels in the stratum corneum is the natural moisturising factor, which is mimicked by the Cohederm Complex. So how did I fare with the Hydrance Intense Serum? Whilst a lot of products overpromise and under-deliver, this serum didn’t let me down. It has a pretty impressive immediate plumping effect, even when I skipped a day (as I did at the height of my fever) I noticed a difference- it has just made my skin look better. I also love the ultra-light texture, almost water-like when it touches the skin and absorbs in seconds – so you get this deep hydration without any sense of greasiness. And with the added strain the antibiotics and painkillers took on my skin whilst I was unwell – my skin remained plump and hydrated. Obviously, this is not a scientific fact, but my observation – however I was stunned that my complexion hadn’t suffered more. I’ve now been using the serum way longer than three weeks –in fact it has gained permanent residence in my bathroom cabinet. This Blog post is kindly sponsored by Avène.